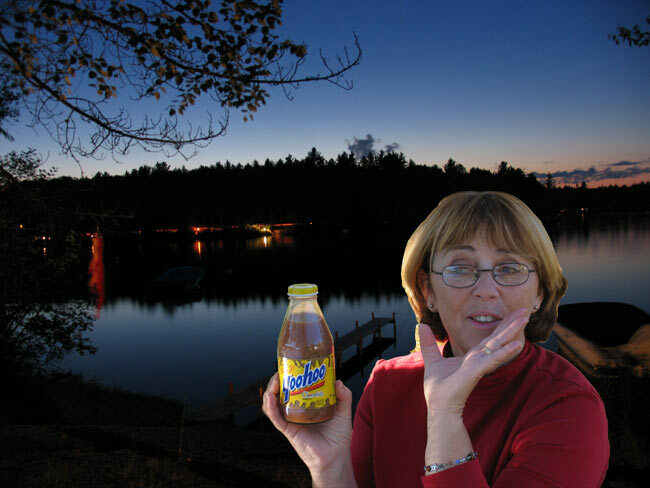 "Yoo Hoo - The Unofficial Drink of Fish Creek Pond Campers"
You Hooing is a time tested tradition at Fish Creek Pond. Each night hundreds of campers on all sides of the ponds gather together by their camp fires and shout out 'Yoo Hoo' across the pond to campers on the opposite shore as quiet hour approaches. Both young and old are sure to participate! Just another fun activity at Fish Creek! Join in the converstion and meet other Fish Creek Campers here on the forum! Enjoy over 40 high definition videos taken at Fish Creek and the surrounding areas. Over 5 hours of footage! Integrates various tools all in one place complete with campsite guide, photos, map, availability. Set and save your preferences, and campsite favorites. Ranger Jill can answer ANY question you might have along with showing you relate photos and links, all in real time. You might ask 'how many people on a campsite?' or 'show me site 100'. She talks too! The popular Campsite Photo Guide and accompanying tools provides easy access to individual campsite details and photos. Explore the campground and campsites using our detailed interactive Map Navigator tool. Select from over 150 high resolution images for your desktop computer! Next best thing to being there. Check out hundreds of photos of Fish Creek & activities in the area. Camping at Fish Creek? Be sure to add your trip to the Campers Calendar.